Praise God there was a “save” in Rockland this week. A baby whose life was spared from abortion. on September 23 in 307 cities around the world. 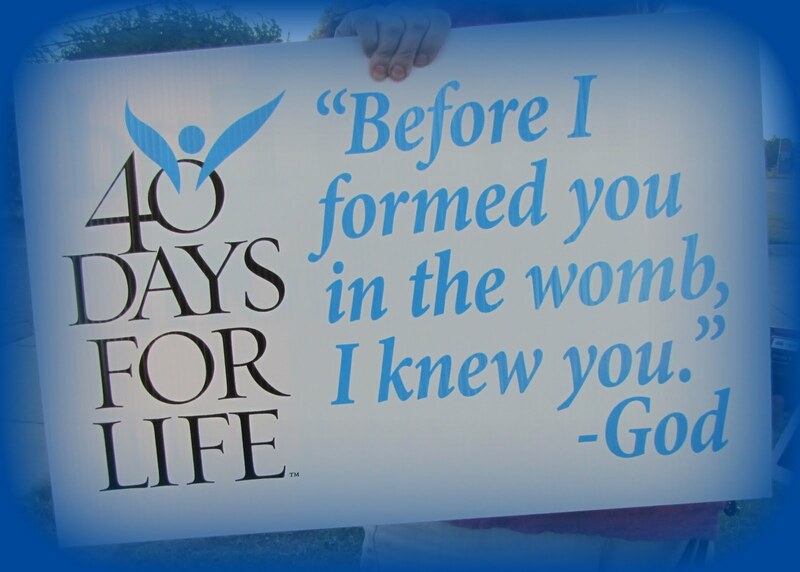 Please sign up now to take part in the 40 Days for Life, a true matter of Life and death. The hours are from 9 am until 6 pm on Perlman Drive, Spring Valley, and from 6 pm until 9 as at the Perpetual Eucharistic Adoration Chapel at St. Gregory Barbarigo Church in Garnerville. The Perlman Drive prayer site is on public property, about 50 yards from the Spring Valley Planned Parenthood office, which is in a mall nearby. Please e-mail RachelMinister1@aol.com or call 845-492-6709 for more information. Now We Need to Pray for Courage — and a Miracle!